Nest (or Next Generation Electronic Securities Trading platform) Trader is a terminal based trading software developed and maintained by Omnesys technologies. This is a pretty mature trading application and has been around for a while now. 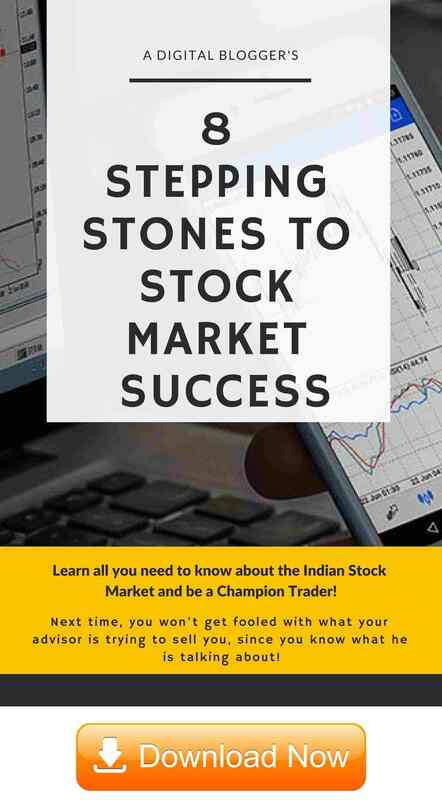 Nest Trader is available for stockbrokers across multiple exchanges including NSE (National Stock Exchange). 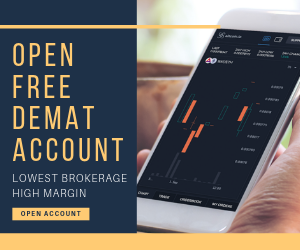 With the kind of performance this terminal software provides, a lot of stockbrokers completely rely on the solution for their clients and don’t really focus on developing their own in-house trading application. They just subscribe to its license and start availing this application to their clients. Some of such stockbrokers include Upstox, Trade Smart Online, Karvy Online, Zerodha etc. The software is available to use across multiple segments be it Equity, Commodity or Currency – You can trade or invest in any particular product. RAM 4 GB for a top trading experience. In order to use NEST trader, you need to download and install the Dot net framework on your laptop or desktop. The framework is easily available for download on the internet. Furthermore, the RAM size of your machine must be at least 4 GB or above otherwise you may face a lot of instances when the application hangs in the middle, and that can be very disturbing! Provision to add multiple Market watch lists. Users can just add the scrips of their choice and keep a track on different metrics, data points and the overall movement of the stock(s) within the watchlist. Users also have the options to add or remove specific columns as per their preference from the layout. Further users can add different market watchlists to groups to keep the whole monitoring process segregated. “Orderbook” feature allows the user to have a quick glance at the details of the placed orders for both buy and sell trades. 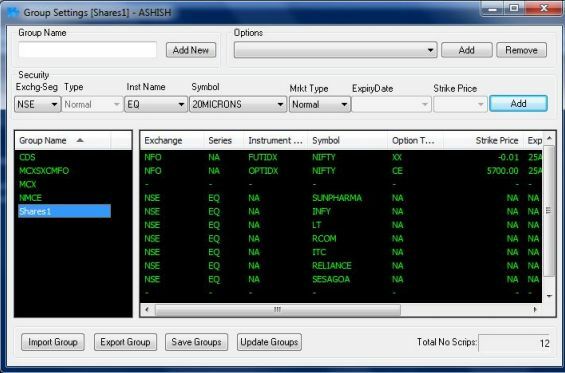 Using the combination of “Alt” key with “F6”, the user can invoke the “Net Positions” window, that gives a complete snapshot of user’s market position across indices and exchanges. With the “Ticker” feature, the user can add specific scrips and whenever there is any trade in the added scrips, the trade details (trade price and quantity) are displayed on top of the terminal in the ticker space. 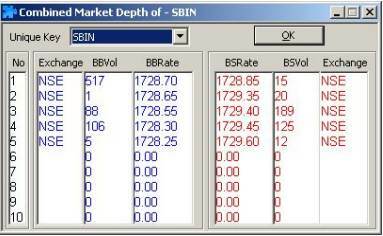 With “Combined Market Depth” feature, the user can see the top 10 bid and ask along with the quantity and price of the stocks. 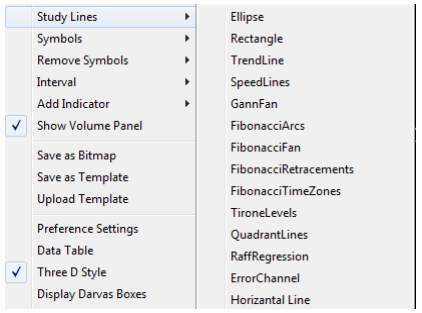 Charting functionality for technical and fundamental analysis with different types of charts available. An effective risk management system in place within the trading platform for any unforeseen circumstances. 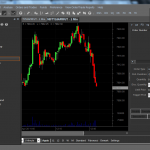 Third party integrations available across technical analysis softwares, tools etc. 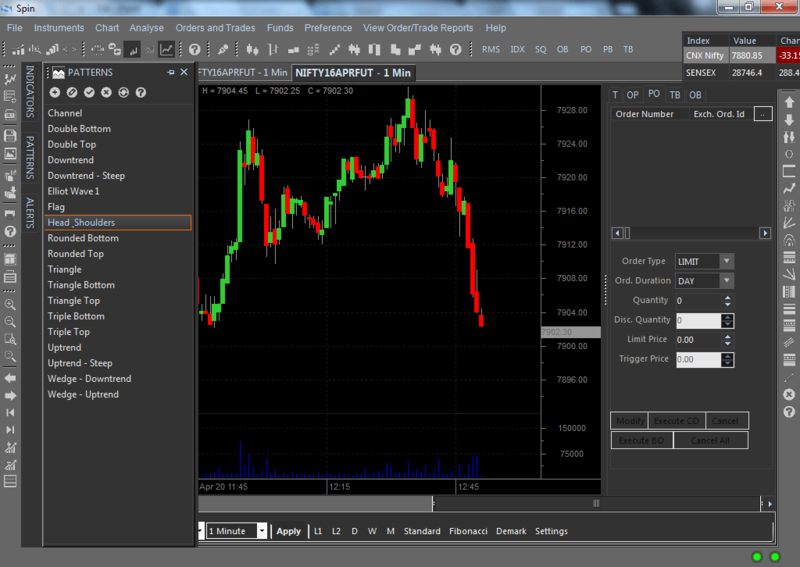 Some of the different charts available for your usage are shown below including Line, Bar, Candle charts etc. Furthermore, if you are looking to perform a detailed technical or fundamental analysis, then you have different drawing tools at your disposal. These drawing tools help you to draw potential trends in a specific stock or index before you place the trade. Lastly, there are 100+ technical indicators available for traders so that they can get automated signals from the trading platforms. 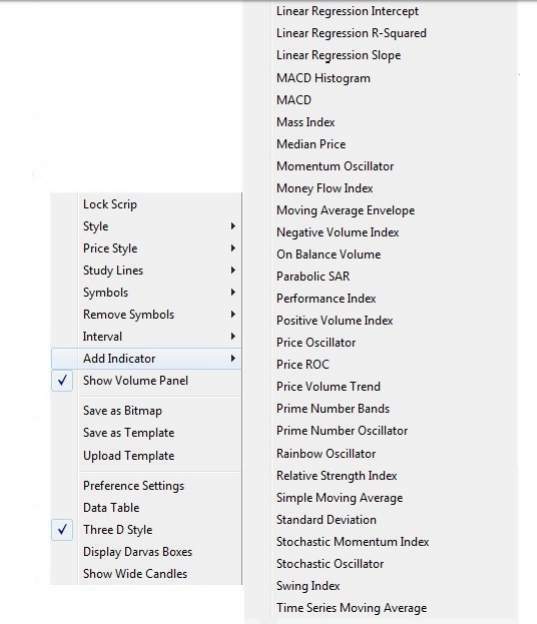 These technical indicators help to save a lot of trader’s time in reaching a trade decision, assuming the trader understands which indicator to use when. Finally, if you are looking to set a few alerts based on specific conditions, then the ‘Set Alerts’ feature allows you to create such alerts for you. The notification can be in the form of email, SMS or within the trading platform itself. You must use a decent internet bandwidth for consistent and smooth user experience. Otherwise, you may face login and/or connectivity issues with the software. The generic look and feel and the overall trading experience can certainly be improved from the user’s point of view. Since this software does not belong to a specific stockbroker, thus, in case you a client of a broker and have some feedback(s), it will be tough to get those concerns addressed. The best case scenario is that your concerns are transferred to Omnesys Technologies through your broker and it is left to the tech team when to fix the problem. 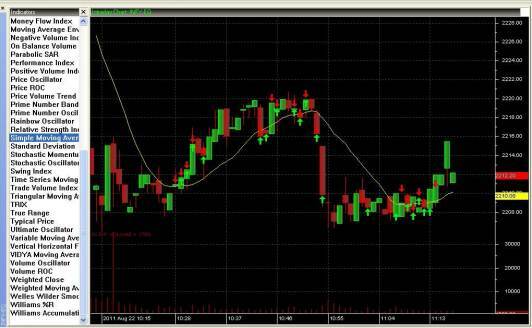 NEST trader is one of the robust trading applications out there. This implies even if the number of concurrent traders increases at any given point in time, there will be very few or instances of the application going through any hiccup. Multiple short keys available with a provision to add new ones. For instance, to log out of the application, users just need to press F10, Buy order entry with F1. 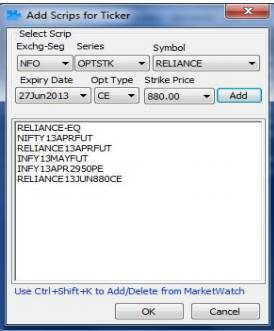 This helps in quick order placements and making sure trades are made at the right moments. Users can place more than one order using the “Simultaneous Order” entry feature. For this, the user needs to open a dialog box of the feature and place more than 1 order at the same time. Multiple types of orders available including cover order, basket order, AMO etc. 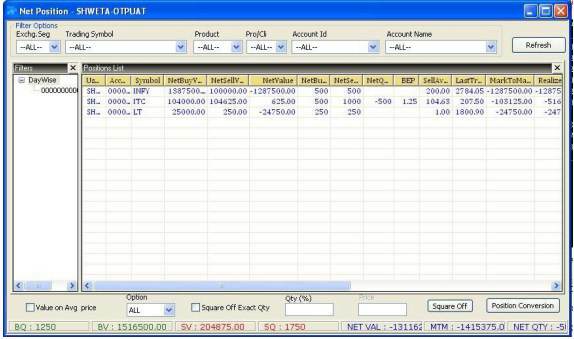 Various kinds of utility tools available such as Option Calculator, Position Analysis, Alerts, Notifications and more. So, that is it, as far review of Nest Trader is concerned. There are a lot of stockbrokers that provide this trading application to their clients for usage. Without a doubt, it is one of the most mature softwares for trading but at the same time, it has few concerns as well (as listed above). Like mentioned above, NEST trader is one of the prominent trading applications in the stockbroking space. 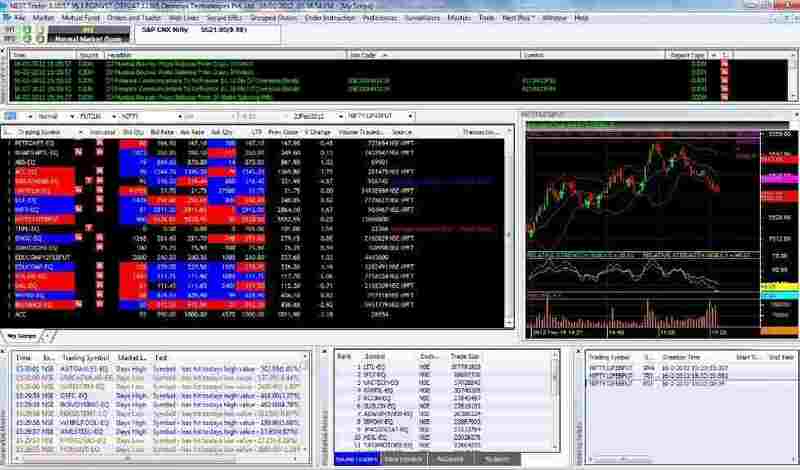 This platform is used as a third-party software by many prominent stockbrokers after a bit of customization. When it comes to performance, this application comes with a varied range of features with reasonable robustness. However, the user experience is one of the areas where the application needs some improvement. This is important especially for beginner level traders who prefer to use an easy-to-use application. 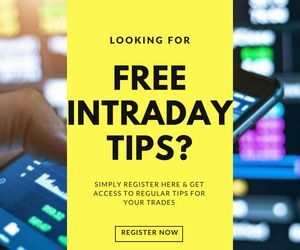 At the same time, if you are experienced or even an intermediate level trader/investor, you will like using this application for your trading needs. Looking to open a Trading Account? Bharat Heavy Electricals spurted 5.7% to Rs 140.10 at 13:35 IST on BSE after report suggested that the company and Kawasaki will make rolling stock for the country’s first bullet train from Ahmedabad to Mumbai.